Anti-abortion extremist Shelley Shannon was released from Waseca Federal Correctional Facility in Minnesota on Monday, the Kansas City Star reports. 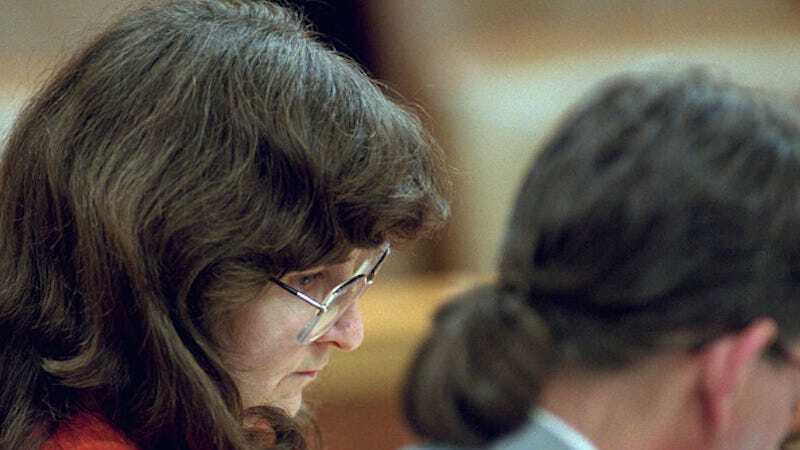 Shannon was convicted in 1993 of the attempted murder of Kansas physician Dr. George Tiller (Tiller was later murdered by another anti-abortion extremist Scott Roeder in 2009). She was sentenced to 11 years for shooting Tiller five times. Shannon was later convicted of firebomb attacks at abortion clinics in three different states, Nevada, California, and Oregon and sentenced to an additional 20 years in federal prison. During her 1995 sentencing, federal judge James Redden called Shannon a “terrorist.” “Though I am loath to call anyone a terrorist, you are a terrorist,” Redden said. “The editors of this manual hope and pray that the information contained herein will be useful to those who are committed to pro-life activism, and may perhaps provide the catalyst to inspire others to such a commitment,” it said. During her time in prison, Shannon remained active with the Army of God and inspired other anti-abortion extremists. She received visits from Paul Hill, later convicted of murdering an abortion doctor in Florida, as well as Scott Roeder. During his trial for the murder of Dr. Tiller, Roeder expressed admiration for Shannon. Abortion clinics across the country have been alerted about Shannon’s release. She has been transported to a halfway house in Oregon where she will serve the remainder of her sentence. Her final release date is November 7.